I finally had a chance to stop by CosmoProf to pick up Muppet polishes from OPI. I don't remember much from when I was really young, but I remember the Muppets. My favorite was Fozzie Bear. He was friendly, charming and even though he told bad jokes, I thought he was funny. 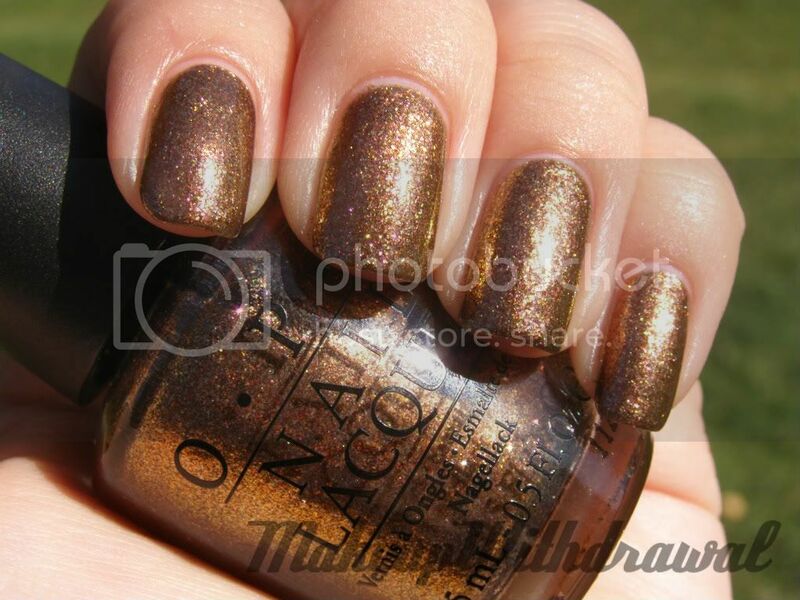 It's nice to see that OPI paid tribute to him in a beautiful polish that really embodies all his warmth. Warm & Fozzie is a mix of bronze, gold and pink foil particles in a dusky translucent base that gives the whole polish some depth. The pink is very, very difficult to see in my pictures, it's something you have to squint carefully to notice in person. It's very sheer, I found that three coats was not enough. Four was optimal. In the shade, you can see the gold shift to the orange bronze. I think this polish represents him perfectly. 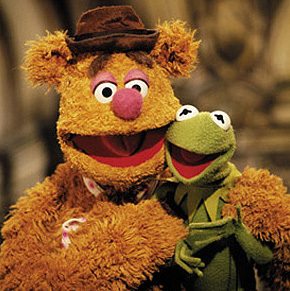 The gold bronze captures the orangish color of his Muppet fur, the little bit of pink hints at the color of his nose. 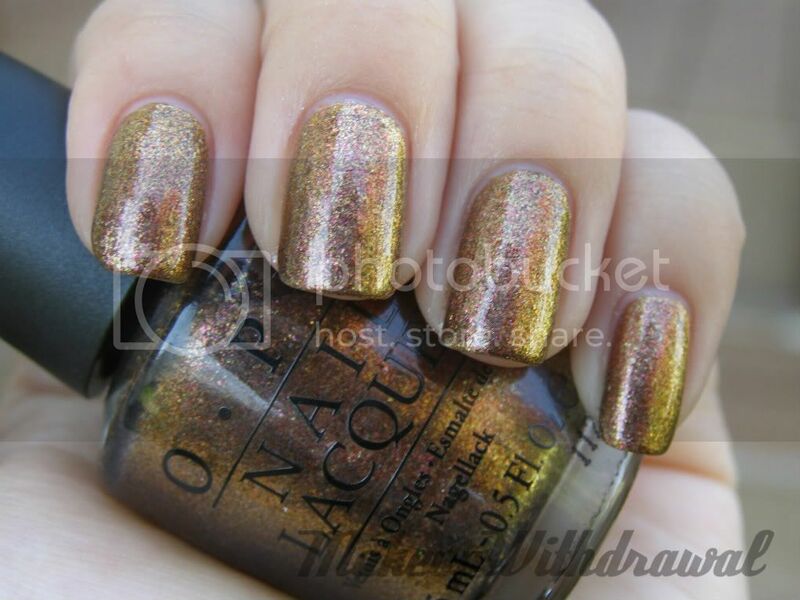 This polish does indeed make me feel warm and Fozzie inside. EDIT: I did a post about this polish worn over black. Click HERE to see it. Love the color! Can't wait to get 1. A question though, is it easy to remove?